Social media is an inevitable part of life in this current technological age. Facebook, Twitter, Instagram, Pinterest, Google+, or LinkedIn are among some of the most powerful tools that can be used to advance a business and connect people. Not only does social media connect us to the people around us and inform us of their lives, but it is also a tool that many of us use to get our daily news from or to keep updated with the current times. Many companies have realized that using this platform and avenue can help to expand their companies and sell their products. It has become increasingly important for companies to effectively and properly use social media services in order to be properly represented. It is important to post relevant, interesting and new content to your social media pages in order to generate traffic to your website or online profile. Apart from Facebook, Instagram is one of the most active platforms of social media. Reaching almost 1 billion active users every month, it is on its way to being on top of the social media pyramid. Savvy business people have been reaping the benefits of Instagram by building an online audience and increasing sales. Instagram has realized that they provide and invaluable platform for expanding businesses and getting revenue generation. Because of this, Instagram has released a new exciting feature that can help businesses improve their social media strategy. Instagram TV, or IGTV, is a new platform on Instagram that allows users to post long format video content. What makes it different from Facebook or YouTube videos is that they are vertical videos instead of the conventional 16:9 videos that people are typically used to. The reason IGTV was invented was to be an alternative to traditional TV and other streaming channels that are online. It has been shown that there is an increasing move to watching mobile video content rather than actual TV. 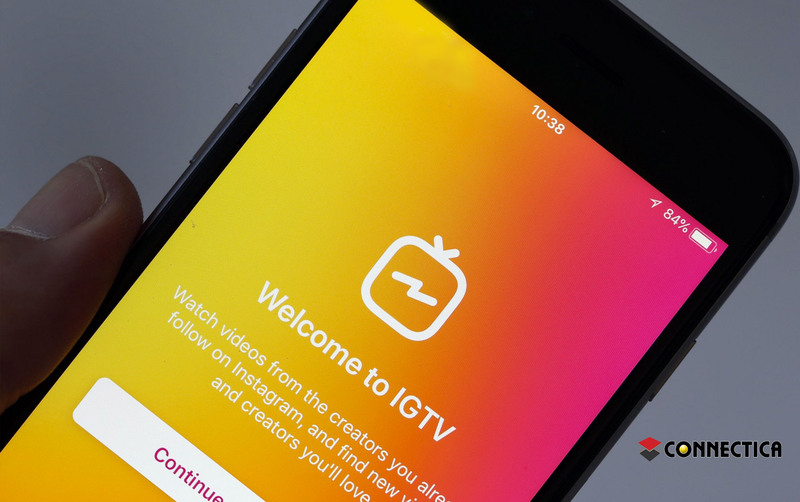 How Can Businesses Use IGTV In Their Social Media Services? The question now is how you can incorporate Instagram TV into your social media strategy in order to boost and improve business and sales. At this point in time, IGTV is not the same for every user. For larger accounts with a bigger following, users can publish videos without a time limit. For smaller accounts, IGTV videos are limited to 10 minutes at a time. But, 10 minutes is still a long enough time to develop a video to market effectively. So, in order to effectively implement this in a company and their social media strategy, companies need to be thinking of fresh, new and innovative ways of displaying and marketing their product in the form of videos and media content. With mobile users spending a larger time watching videos rather than reading information on the web, this is the future of marketing for companies. Think about topics your audience is constantly searching about. What are some questions you constantly get? Use these points to create engaging IGTV videos and grow your following with useful information people are already researching. Be their answer and be personable. People like to see people. Additionally, a really nice function that can be implemented on IGTV is the “Swipe Up” call-to-action feature. In the past, if you wanted to have a link that you post on Instagram stories, you needed to have a following of at least 10 000 people to unlock this function. Now, with IGTV, anyone can access and use this function. With video content that is enticing and thought-provoking, companies can post their link in a “Swipe Up To Learn More”. This action can take users to the website of the company, where they can seek out further information and products. If you are interested in finding out how you can implement Instagram TV and effective social media video content in your social media services, but you are not sure how to go about it, contact Connectica LLC. for a social media expert to help get your started.